How Do I Answer This Atheist's Argument? I’m a young Christian doing some study at ______ University. I am currently engaged in a debate with an atheist who reckons his argument is indestructible. I have tried to critique it but he reckons that my logic is false. First, in order to discuss the existence of god, we must define god. So I say god must be conscious. That way we can distinguish god from any random forces that might be out there just spitting out universes. But I’m conscious and I’m not god so we must further define god so that god can be distinguished from a highly advanced alien race. So god must be the First Cause. There we have it, god must be conscious and the first cause or god doesn’t exist. If god isn’t conscious OR if god isn’t the first cause THEN god doesn’t exist. Let’s examine what it means to be conscious or to have awareness. When one is aware of something and that something moves or changes then one is aware of that movement or change. The change causes a change within the one who is aware of it. Example: When a leaf blows across the road the position of that leaf in my mind changes. My mind changes from knowing where the leaf was to knowing where the leaf is. To be Conscious is to be Changeable. So we can say, If god isn’t CHANGEABLE or if god isn’t the first cause then god doesn’t exist. Now, let’s examine what it means to be the first cause. The first cause must be uncaused for there can be no cause preceding the first cause. Now since no change can occur without cause (unless of course you believe that things like the universe can just pop into existence without cause) God must not be able to change. To be the First Cause is to be unchangeable. So we can say, If god isn’t CHANGEABLE or if god isn’t UNCHANGEABLE then god doesn’t exist. Logically nothing can be changeable and unchangeable. SO GOD DOESN’T EXIST. There are only 5 logical objections to My Proof. • Something Not Being Able To Be Both Changeable and Also Totally Unchangeable. Choose Your Poison. Yes, If anyone can debunk my proof I shall withdraw it and stop using it. Furthermore I shall move into the ranks of the Agnostics. Our point of contention is that you insist that The Cause must be conscious which requires change when we both know that in order for the first cause to exist it must be totally unchangeable. Now, if you or anyone else would care to explain how something can be both changeable and totally unchangeable, I’d be glad to hear it. Until then you’re flying on a wing and a prayer, which means you’re falling. The changeable vs. unchangeable paradox is the basis of my whole proof. The basic premise is that a thing can’t both have a property and not have the same property. i.e. A line can’t be totally straight and partially non-straight or curved. As it turns out the definition of God which is used by most people and mainstream religions requires god to be changeable and totally unchangeable, thus creating a paradox. If I were to believe in ‘god’ I could still never be a Christian. Here’s a good exercise that will help you choose a religion. Try to work out in your own mind what god must be like. But don’t just say god must be all good try to prove each characteristic of your god. This is what he is saying, and quite frankly, I don’t have an answer. Any help would be much appreciated. I think there are two problems here, one building upon the other. The basic problem is the atheist’s understanding of God as first principle. This is an understanding bequeathed to us by Greek philosophy. Plato didn’t have a God as in Judaism and Christianity. He believed in the One (or the Good) and the Demiurge. The former was remote, untouched by changing things. The latter formed what was there into the universe. While Christian thinkers sought to pull those two ideas together, an emphasis on God as unchanging remained, even to the extent of denying His passibility; that is, that He could be emotionally affected by anything outside Himself. While I disagree with open theists regarding God’s knowledge of the entire future, I can agree with them that Christian theology (thanks in part to Aquinas) has let Greek philosophy shape its ideas more than it should. Although I believe God is unchanging in His nature and purposes, this doesn’t mean there can’t be any change of any kind in Him. We must let Scripture tell us what God is like (albeit aided sometimes by philosophical concepts); the atheist is attacking a straw man in his attempt to disprove God. The second problem is this. Even if we concede that gaining new knowledge does entail change (and this change cannot be allowed in God), if God knows everything — past, present and future — then there is no new knowledge for him. Therefore, there is no change. "Can a Christian Lose His Salvation?" "Help Me Understand Rewards in Heaven""You're Overreacting About Harry Potter"
Rick Wade served as a Probe research associate for 17 years. He holds a B.A. in communications (radio broadcasting) from Moody Bible Institute, an M.A. in Christian Thought (theology/philosophy of religion) from Trinity Evangelical Divinity School, and a Master of Humanities (emphasis in philosophy) from the University of Dallas. Rick's interests focus on apologetics, Christianity and culture, and the changing currents in Western thought. 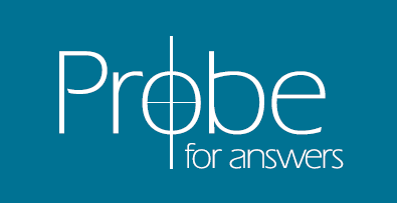 Before joining Probe Ministries, Rick worked in the ship repair industry in Norfolk, VA. He can be reached at rwade@pobox.com.